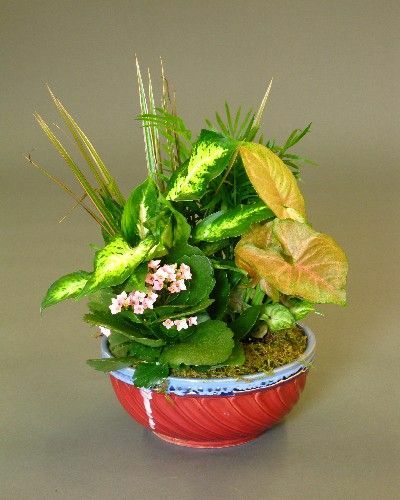 A variety of lush green foliage and blooming plants arranged in a decorative ceramic bowl. This low maintenance gift will add unique style to any home/office decor. Color/style of container may vary.